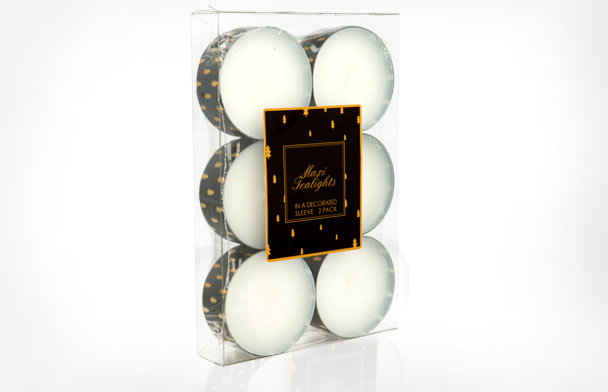 Tealights are produced using a technology in which molten wax is poured into metal cups. Innovative technological solutions (e.g. the wick is attached to the bottom of the tealight cup) completely eliminate the risk that the candle flame will move when the tealight burns. We introduced a new shape of the bottom of the cup (covered by a patent application). 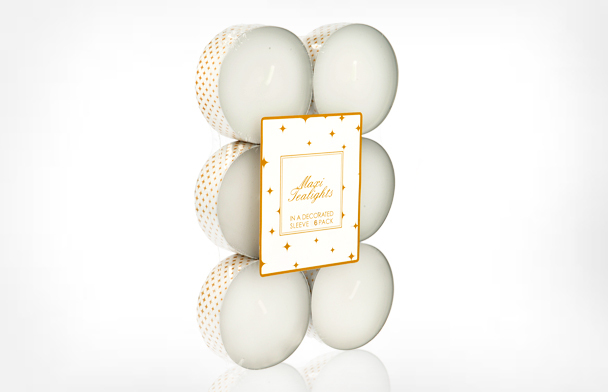 This new shape makes it possible for the candle to burn out completely with hardly any wax residue. We offer tealights in traditional aluminium and polycarbonate (PC) cups of different dimensions. Depending on the needs of our Customer, we pack them in retail packages of different sizes – from a dozen or so to several hundred per package. We were one of the first companies to market flat, shrink wrapped packages. Since then, it has become a standard type of packaging in the market, because it is functional, it looks neat and tidy and offers unquestionable logistic advantages (lower costs of transport and storage). Apart from the basic assortment of white unscented tealights we sell tealights in a wide variety of colours and scents. 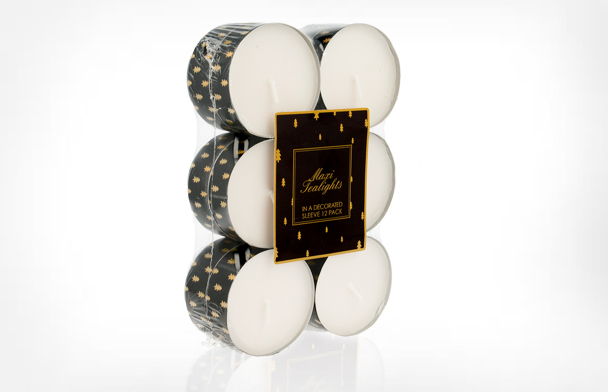 Equipped with automated production and packaging facilities, we can also offer retail packs of multicoloured tealights. The photographs below show selected items from our broad variety of tealights. 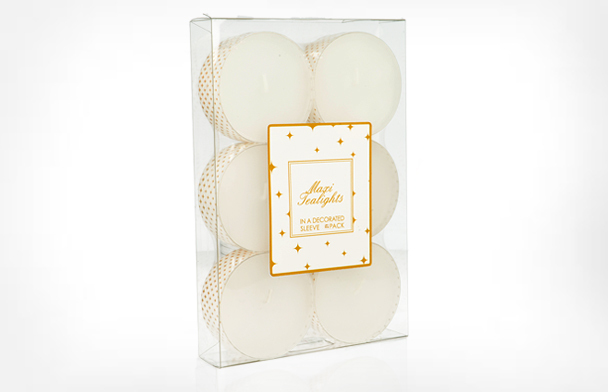 The photographs below show selected items from our broad variety of maxi tealights in sleeve.